Have You Ever...failed to backup your photos? Always backup your photos! 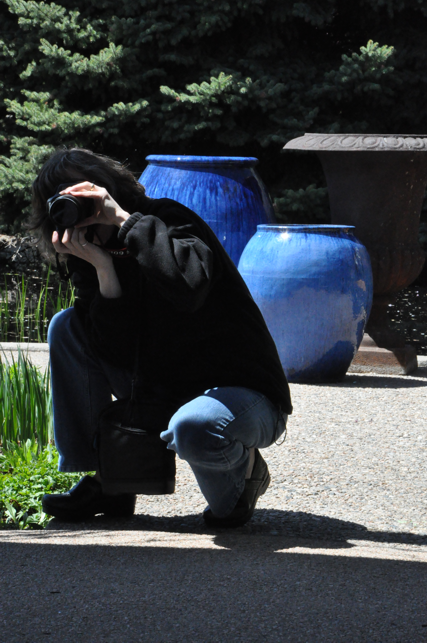 I went to the Denver Botanic Gardens with my sister today and I was playing around with my digital SLR camera to try and find a particular setting. While I was doing this I didn't stop to think and pushed the buttons that reformat my picture card. I lost a ton of images. Some from my sons 15th birthday and a vacation that we took at spring break! Wow, that will teach me, not to backup my photos onto the computer! First of all, what a great picture! Sorry you lost so many of your important pictures in an instant. I am of the habit of transferring images each time I use the camera. It is easy for me to put the card into my notebook and copy the pictures. Even if you have to use a USB, it doesn't take long. But, I'm sure you won't make that mistake again. It's a lesson learned the hard way. There are photo recovery programs available that we have used successfully on both hard drives and SD cards. Don't take any more pictures with your card and give it a try! Good luck! Diane, Thank you so, so, much!!! I went online and found a recovery program that I could use for free for smaller recoveries and I got almost all of my photos back! YEAH!